The Tree Top Village is truly an impressive playhouse to behold in any playground. Its full timber construction is treated to last and, as standard, has a natural finish. That said, we can make these structures in a variety of colours to suit your play space, and the layout can be made entirely to your specification. 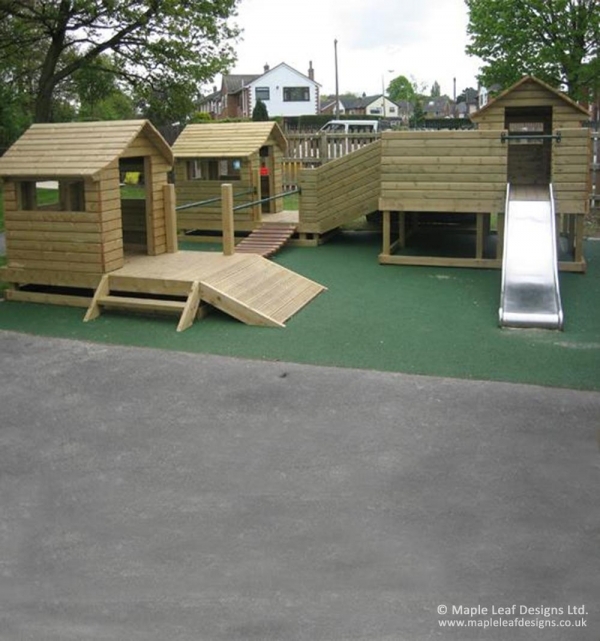 It’s the cause of much excitement amongst the children lucky enough to explore it, encouraging new heights of imaginative play and suitable for a variety of age groups.